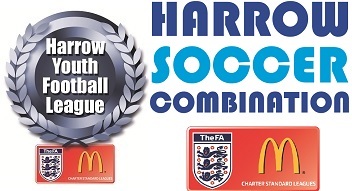 The Harrow Youth Football League and the Harrow Soccer Combination comprise some 100 clubs and over 750 teams, facilitating football for around 10,000 boys and girls each week in the Under 7 to under 18 age-groups. Both organisations have been recognised by The Football Association as accredited and award winning Charter Standard Leagues and FA Respect Leagues. We exist for the benefit of young persons (boys and girls), where the emphasis is on enjoyment, team participation and the development of footballing skills and techniques.